Soul agreements are pre-incarnation contracts between two or more individuals. The theory behind a soul agreement involves life scenarios conceived before birth. Souls choose relationships and family ties based on lessons they wish to learn in human form. There is conjecture among some spiritual groups that soul growth can advance more quickly through human incarnations than in spirit form. Making soul agreements before birth gives souls a game plan to use to advance their spiritual growth objectives when choosing future incarnations. Soul agreements aren't intended to be too restrictive or set in stone, based on the belief that "free choice" is attached to human life. 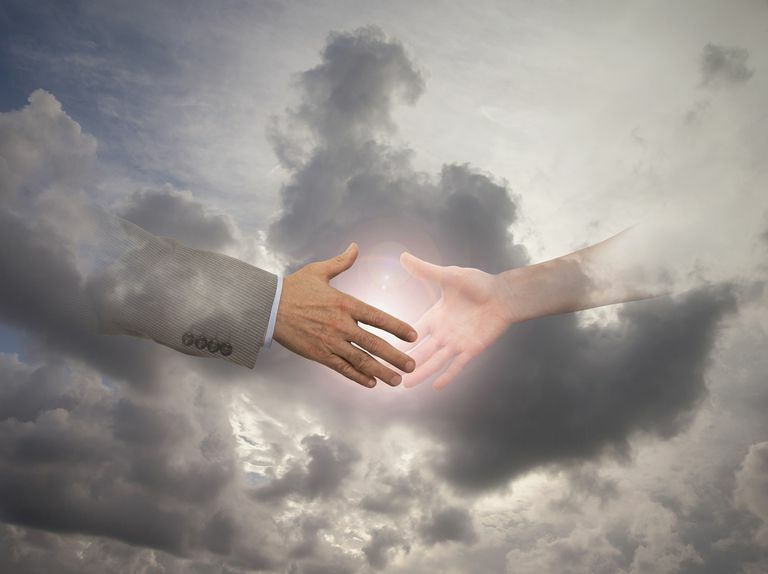 Contractually speaking, it may be believed that soul agreements have built-in "out clauses." Because one's best-made plans and goals don't always work out in life, neither do larger spiritual goals. The spiritual being doesn't always have the realistic mentality that incarnated humans are faced with on a daily basis. Soul agreements are often renegotiated behind the scenes throughout a lifetime to adjust to situations that disrupt the original ideological scenarios. Unlike more rigid karmic connections, people connected through soul agreements choose to hang out together for a variety of reasons. Imagine a conversation between pre-incarnated soul buddies: "Wow, it would be cool if next time around we could arrange to be siblings, business partners, or lovers." Karmic relationships tend to have an urgent energy to them, bringing individuals together to return a favor, repay a debt, work out their differences, or make amends for past misdeeds. When karma is in the mix, relationships can feel uncomfortable or binding, as if there is no escape. Someone we're connected to through pre-birth agreements usually is the friend who makes us laugh, a trusty mentor, or the favorite sibling. Soul agreements or spiritual contracts are usually designed with one or more out clauses built in to feel more freeing. There is often no feeling or sense of obligation in contractual relationships. Soul agreements are sometimes based on tough love. For example, a soul may want to experience rejection, abandonment, or another difficult emotion in the human form. Another soul may agree to take on the role of nemesis to invoke this type of experience. In the eyes of an enemy, a friendly soul may be looking lovingly back. "Several years ago, at work, a man came into my life. We both had a 'namaste' moment, though I don't buy into that sort of thing too easily. He seems to be drawn to me ever since, occasionally insisting that he feels we're supposed to be a part of each other's lives, and that he's supposed to love me, even though I've been in a very committed relationship this whole time. He weirded me out a bit, though I grew to know him as one of the most amazing people I've ever met. When we're putting forth effort into our friendship, we both bring a lot of love and light into each other's lives, but there have been a couple times now where one of us has hurt the other and he'll refuse to meet me halfway with love and compassion to resolve the issue. He literally disappears from my life, leaving both of us confused and heartbroken. I'm hurt, but I hold no resentment. I have faith that we'll figure out our soul contract someday, and I'll maintain my patience until the next round."